I had a little time in the morning before skiing, so I decided to take a short hike. I arrived at the East end of Donner lake at 7:30am. It was 19 degrees! Just as the sun rose, fog developed on the water, producing an eerie, mystical scene filled with bird life. Within the span of 15 minutes I saw, ducks, geese, gulls, and Egrets. The real reward was to witness a low pass from a Bald Eagle. The eagles are regular inhabitants of Donner Lake, but I've never seen one fly silently out of the mist. 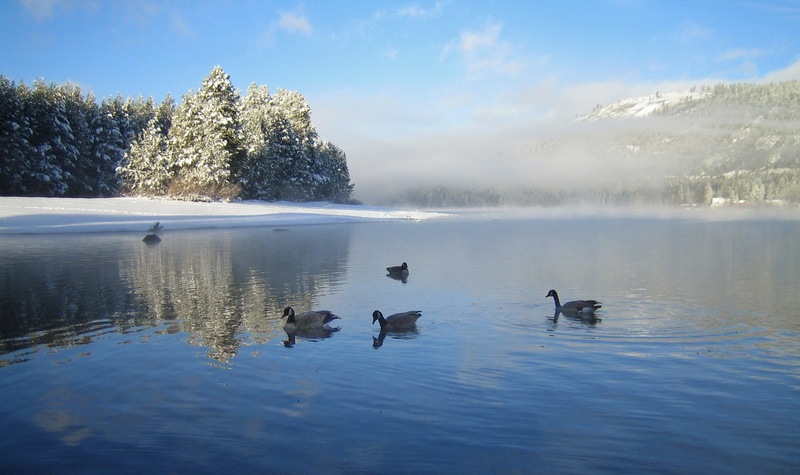 If you have a little time to spend, try walking to the East end of the lake for a little bird watching. 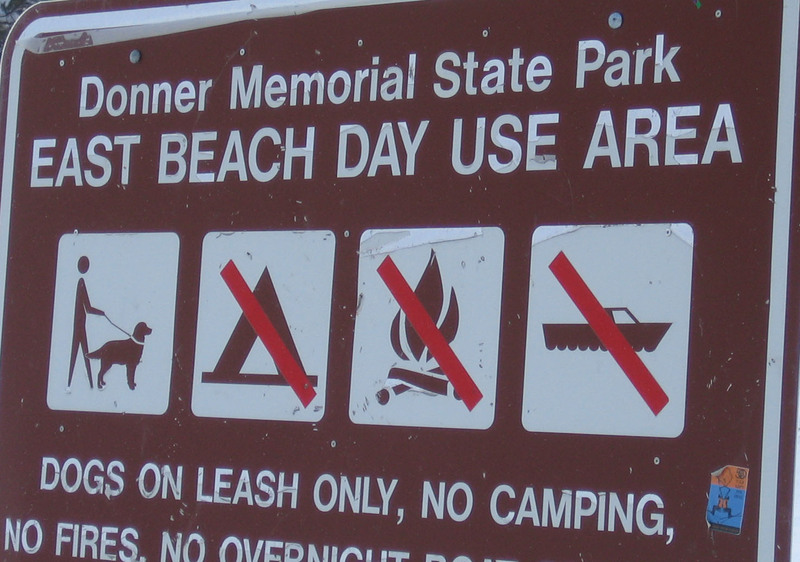 You can park on Donner Pass Road near the East Beach day use area to avoid the State Park fee. It's only a 100 yard walk through the trees to the beach.